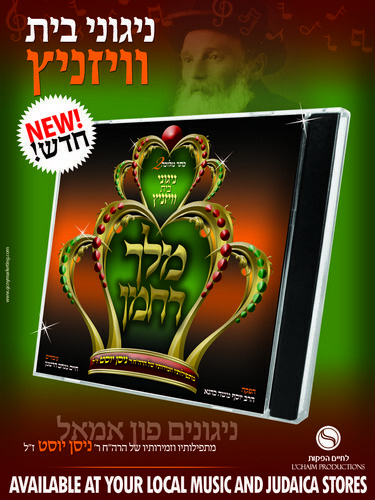 Melech Rachamon is beautiful Viznitzeh album with songs by the world renowned composer R’ Nissen Yust Z"L. this album is the second in the "Kesser Melicho " series (Vol 1. was released about a year and a half ago and it was a great seller). The Choir and arrangement were done by R’ Yosef Moshe Kahana and Chaim Hartman of Lchaim Productions Israel. Distributed by L’chaim.